Tap into the sound of the legendary Marshall JTM45 from your pedalboard. 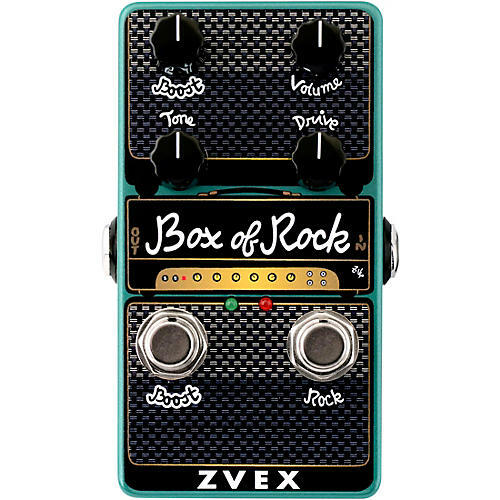 The Zvex Effects Box of Rock simulates the designer’s favorite amp turned up all the way, a 1966 Marshall JTM45. The tone control adjusts brightness, and there’s a high-headroom low-noise boost. Dimensions: 4.31" x 2.62" x 2"